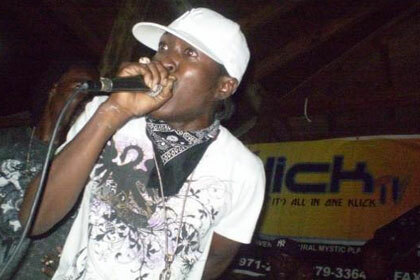 Caribbean Lifestyle Media-Black Ryno who changed his name to Di Stinger after leaving the Portmore Empire is reported to be gearing up for a tour of Europe featuring Sean Da Entertainer (Wyclef’s Refugee All-Star Sound) and G-Mac. The event is being promoted by Refugee All-Star in association with Rhythm and Flow. The tour is set to take place from November 3rd to November 23rd. Recently it was alleged that Black Ryno was involved in an altercation with sound selector Boom Boom. Black Ryno had this to say about the allegations, “ It has been brought to my attention that Boom Boom was attacked by a group of men said to be aligned to me at the popular street dance Uptown Mondays, this is rather unfortunate. Though I was at the event with a few friends on the day in question, it was only for a short period of time and I left the venue long before the melee unfolded and went straight home. Contrary to rumours, there was absolutely no physical or verbal exchanges between me and Boom Boom. As for the men who allegedly attacked him, neither do I know them nor are they affiliated to me or my camp in any way."